June 4, 2017 - 10:30 - Homecoming - We had a great Homecoming. 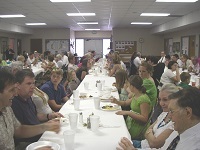 Lots of people, great singing, great sermon, good food and many old friends. April 16, 2017 - 7am - Sunrise Service - Breakfast was served after the service. April 13, 2017 - 12 noon - W.M.U. & Keenagers - The guest speaker was John Lance. August 16, 2016 - 10 am - Trip to Fernbank - A group of us went to the Fernbank’s IMAX Theatre to see the “National Parks Adventure” movie in 2D format and had lunch afterwards. 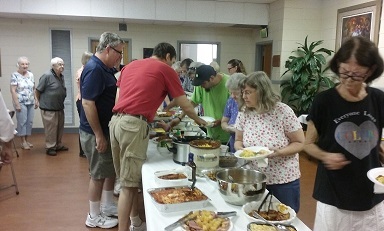 "The Family Of God/Plenty Of Room In The Family"
"It Will Be Worth It All"
July 3, 2016 - 6 pm - Family Night Supper - We had a great meal centered around hamburgers and hot dogs. The attendance was the best all year for a Sunday night event. 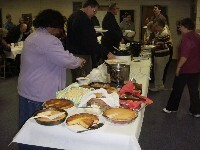 February 7, 2016 - 6 pm - Family Night Potluck Supper - We had a good supper and great fellowship. 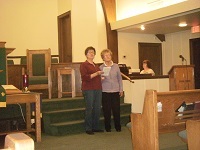 January 31, 2016 - 6 pm - Family Night Sing-a-long - We had a wonderful time singing lots of our favorite hymns. January 3, 2016 - 6 pm - Family Night Supper - The supper tonight will be soup and cornbread. Come and enjoy a good meal and great fellowship. December 6, 2015 - 6pm - Christmas Covered Dish Supper - We had quite a large crowd for the Family Night supper. December 5, 2015 - 3-6pm - Christmas Festival - We had games and prizes, a cake walk, crafts, story time, lighting of the Christmas tree, and a visit from Santa Claus. 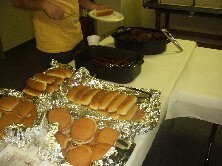 And, we served hotdogs, s’mores, and hot chocolate.